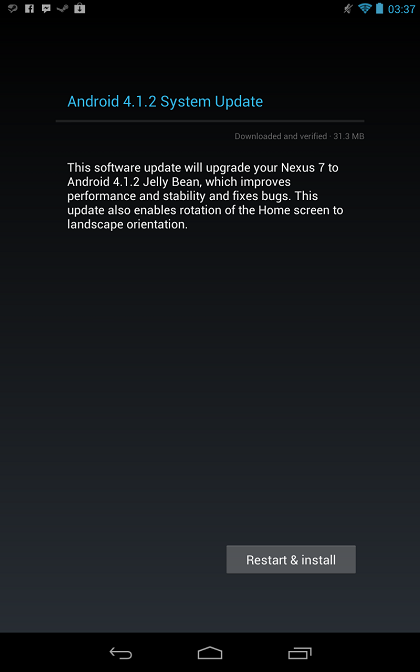 All within the last hour, Android 4.1.2 has been announced and now it is officially rolling out to Nexus 7 tablets. It hasn’t reached ours yet which means it is most likely being sent out in small batches, so don’t worry, it will come. The update brings a new landscape mode for the tablet, improves stability and performance, along with some minor bug fixes. The update size is 31.3MB. 16GB Nexus 7 Reaching "End of Life" Status, to be Replaced by 32GB Variant?